Adairville is very proud of our local school. They have the distinction of being a National School to Watch for 2016. This makes 5 years they have been awarded this and the only school in the state of Kentucky to have this distinction. The staff and student body are exemplary of success. Several of our graduates from Adairville have been awarded full ride scholarships upon their graduation from high school at Logan County. 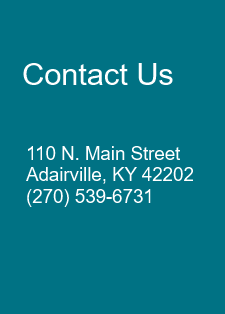 Adairville School continues to be one of Adairville’s best assets.